Disclosure: these items were sent to me free of charge for the purpose of this post. Some links may be affiliate links to give me a few pennies if you purchase. It’s that time of year where the shops are filled with hearts, flowers and teddies, and other sentimental mushiness. I’m not saying I’m completely opposed to the odd lovey dovey thing, but when it comes to gifts for each other, James and I definitely prefer something we’ll enjoy and possibly find useful over something that just collects dust in a corner. To paraphrase the currently madly popular organisational genius Marie Kondo, we prefer to only give each other things that bring us joy, rather than bringing more things into the house that just increase the clutter. 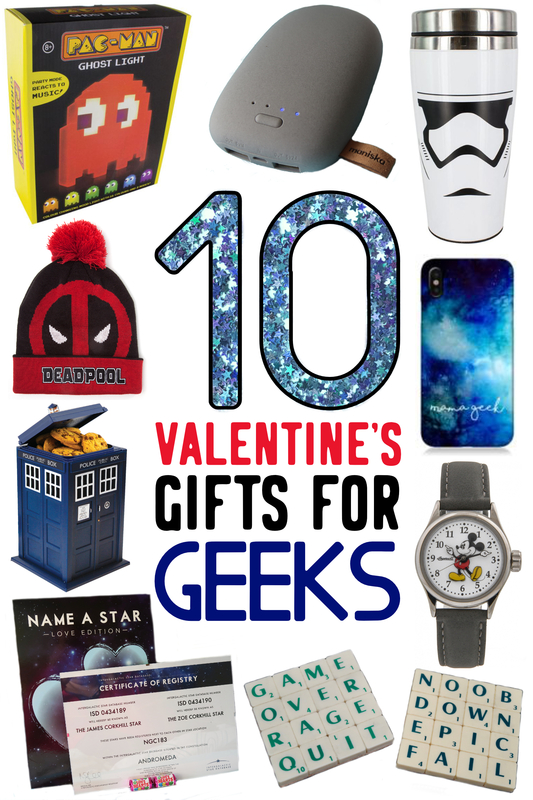 With that in mind, I’ve put together a list of ten different Valentine’s Day gift ideas for my fellow geeks, ranging from sci-fi themed clothing and useful items to personalised phone cases and an unusual looking power bank. Although these items have been sent to me free of charge for the purpose of including them in the guide (with the exception of the coasters which were sent to me last year), I chose most of them from the whole range of items available from the sellers, so they are mostly handpicked by me for the list. James and I both love the classic arcade style games and what is more iconic than PAC-MAN? 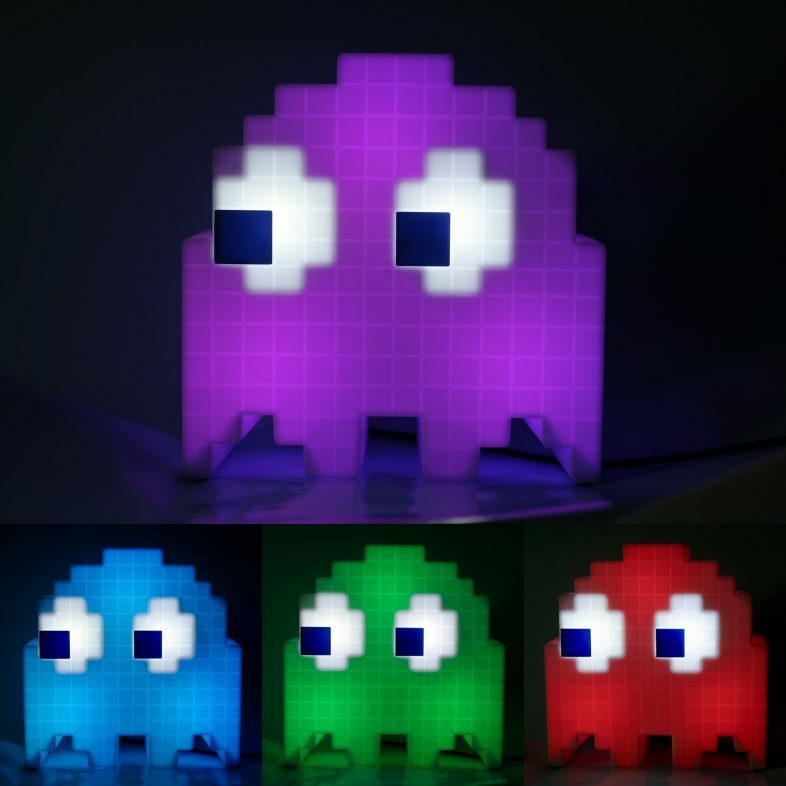 This decently sized ghost light from The Gift Experience is really funky and actually gives off a lovely relaxing light – I’ve had it on in the evenings in our bedroom and have been really enjoying the way it cycles through 16 different colours. You can even set it to change in sync with any music you have playing, using the party mode. The light comes with a pretty standard micro USB cable and I have it plugged into the USB power hub I have on my bedside table, which James gave me for Christmas and is super useful. James and I both enjoy the Star Wars films, and travel mugs are always useful, especially at this time of year! I’ve been known to take a travel mug on the school run on cold days, and I like to take a mug full of coffee into the car with me when we start a long car journey early in the morning and need a pick me up to get going! With the popular coffee shops jumping on board with the aim to reduce single use waste, it’s also useful to have a travel mug for buying coffee on the go these days – you might even get a discount. 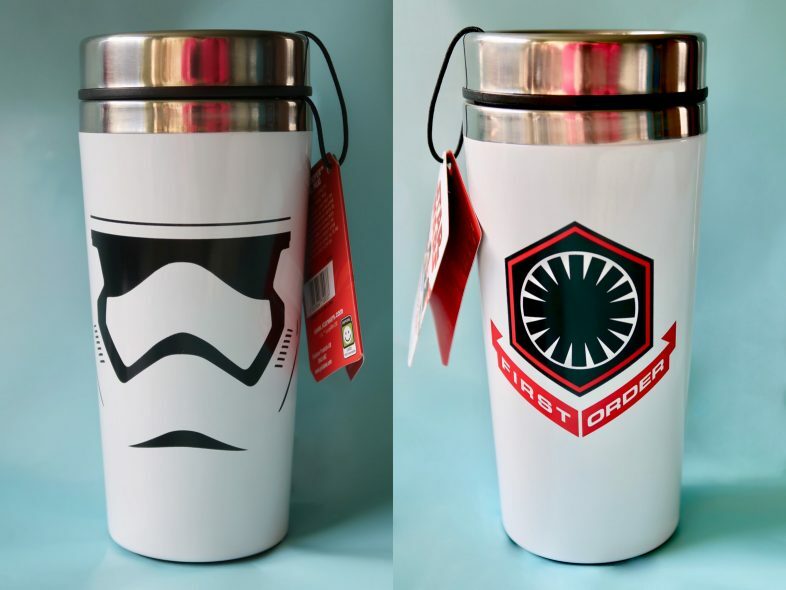 This travel mug from The Gift Experience features a Stormtrooper design on one side, and the First Order logo on the other. 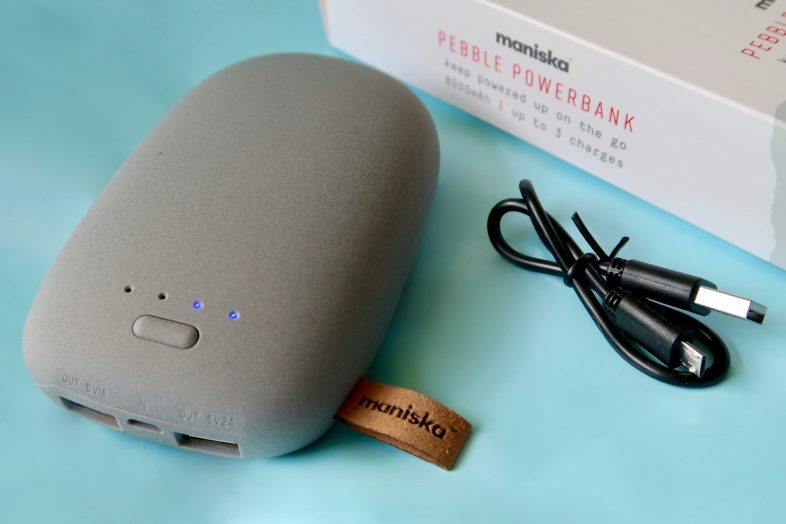 I quite often have a powerbank in my handbag when I’m out for a long day (or even away for a night or two) so that I can give my iPhone or iPad an energy boost if I’ve been using them a lot – especially if I’ve been taking lots of photos or videos as that is a sure fire way to run down a phone battery. This Pebble powerbank from Prezzybox looks great, isn’t too heavy, and with a 8000mAh capacity you can get 3 charges out of it before it runs down. It has two usb sockets on it which is really handy if you have multiple devices. Name a Star sets are a bit of fun – you are basically paying for that particular star to be assigned to you in a particular database – but it is a sweet novelty gift for fans of the night sky. This particular set from Find Me A Gift is aimed at couples, and you get to name two neighbouring stars in the ‘Intergalactic Star Registry’ after yourself and your partner, and get a personalised certificate with your names on. 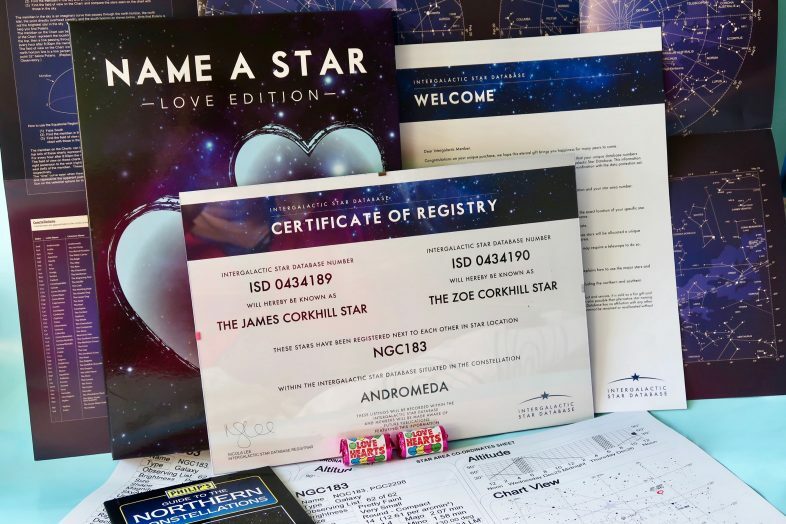 Included with the certificate is a star chart, a little guide book to the northern constellations, a star area-coordinate sheet for each star, and two little packets of Love Hearts. While being the least practical and most mushy thing on my list, this is a sweet gesture that amateur astronomers might get a fun kick out of, it is well presented, and the little guide book is interesting. We are a family of Disney fans and this ladies Mickey Mouse watch from Watches2u is so sweet. Part of the Disney bu Ingersoll collection, Mickey’s arms move around the watch face for the hours and minutes in a classic design. It has a 23cm PU leather stray in a lovely shade of grey, with a Disney branded buckle fastening. It is just really lovely and feels well made and comfortable to wear. 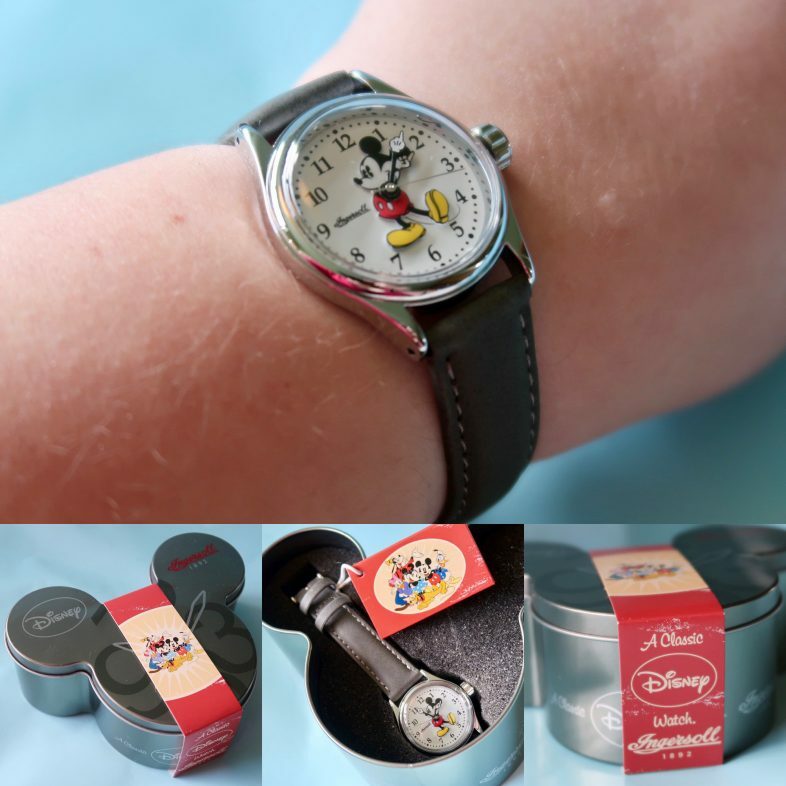 The watch comes really attractively packed in a Mickey Mouse shaped tin, and they also sell other styles of Mickey & Minnie watches, including some for men. 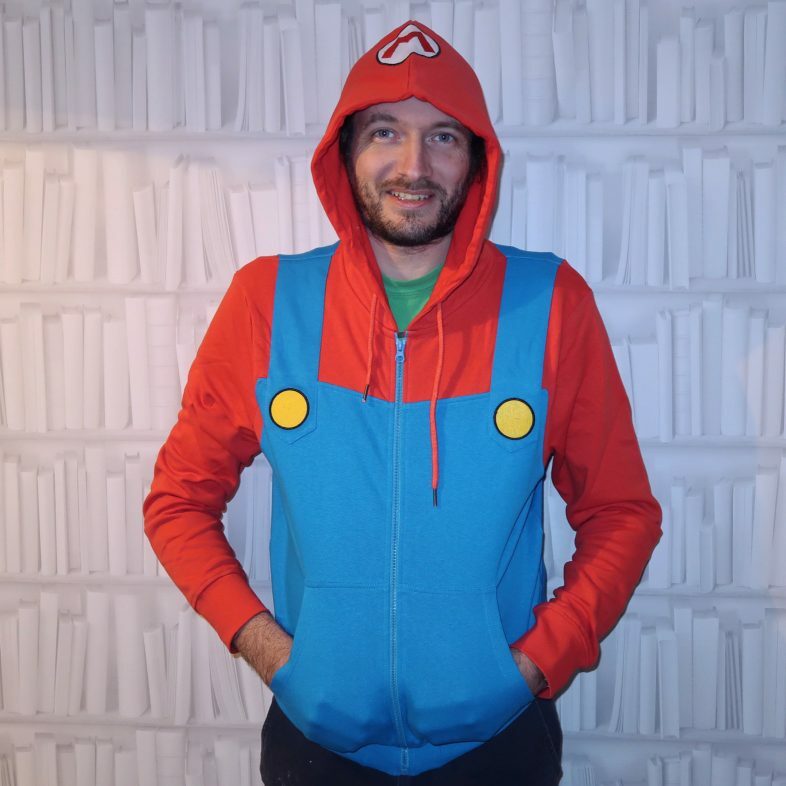 How fun is this hoodie for Mario fans? This 100% cotton red and blue hoodie from MenKind comes complete with the M symbol on the hood, and dungaree detail on the body. It is super duper soft and comfy, and Georgie now wants a kids one for her, she is jealous of her Daddy! James and I both really enjoy the Deadpool movies – he is hilarious! This beanie from MenKind is perfect for the winter weather. 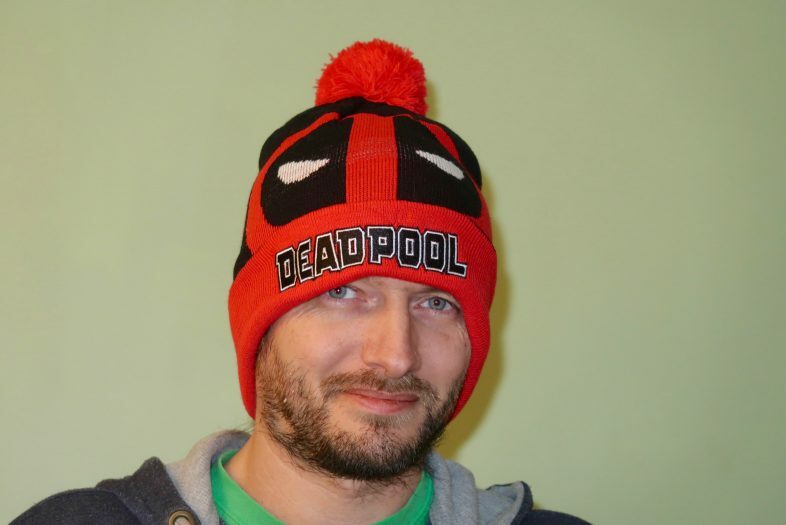 I love the red Pom-Pom on the top in the classic Deadpool blood red and it is really well made and feels super warm. I do like a gift that is practical as well as nerdy and this cookie jar from MenKind fits the bill perfectly. 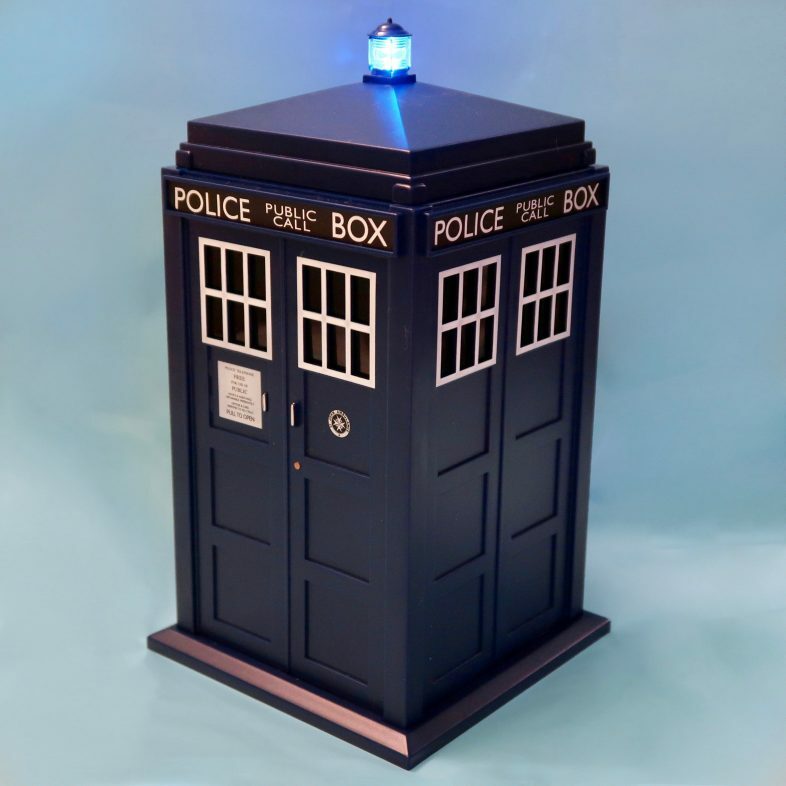 It even plays TARDIS sounds and flashes the light when you shut the lid after taking a cookie – the kids aren’t going to be able to sneak biscuits within earshot with this! I was given these coasters a few months ago as part of the promotion for the Birmingham Etsy Made Local event, and Cheeky Geeky sells handmade coasters and other products which make perfect Valentine’s gifts for the geek in your life. 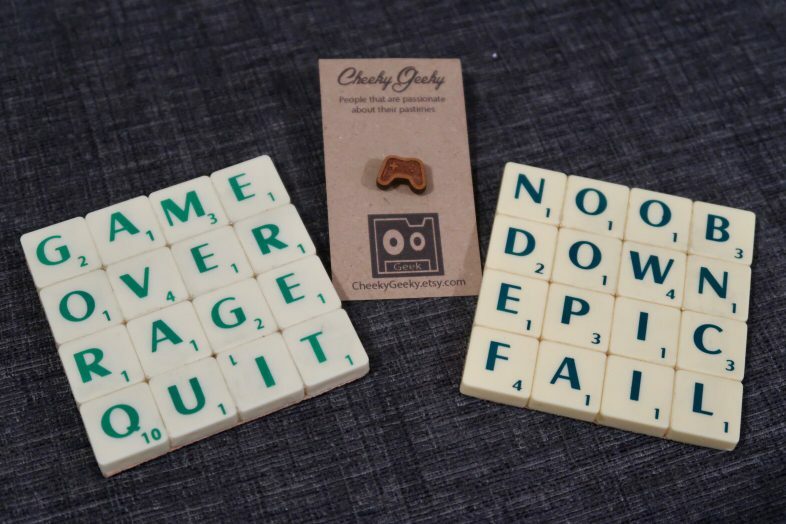 Their coasters made from repurposed scrabble tiles are suitable for all sorts of people including gamers, bloggers, coders, and even musicians and dog-lovers. I’m a fan of the ‘Read, Blog, Edit, Post’ one, personally! They also sell geeky themed pin badges, cuff links and earrings, among other things. Sidenote: one of the local Etsy sellers we discovered at the event was Pickle & Pig Co who have some hilarious Valentines cards in their shop right now! Wrappz sell personalised phone & tablet cases, laptop skins, cushions and mugs. They sent me a code so I could try out the service and get myself a new phone case for my iPhone X. I went for the Space Monogram slim fit case and personalised it with my blog name rather than my initials. I love this and they make a really practical gift, which you can personalise to the recipient to make it one of a kind. In the past we have made cases with photos of the children and so on for people, which have always gone down well. The case itself is really nice – the printing is very good quality and it wraps around the sides of the case too. I do like a nice snug fitting slim case on my iPhone so it’s the perfect size for me, and all the cut outs for the buttons and so on are perfectly located. 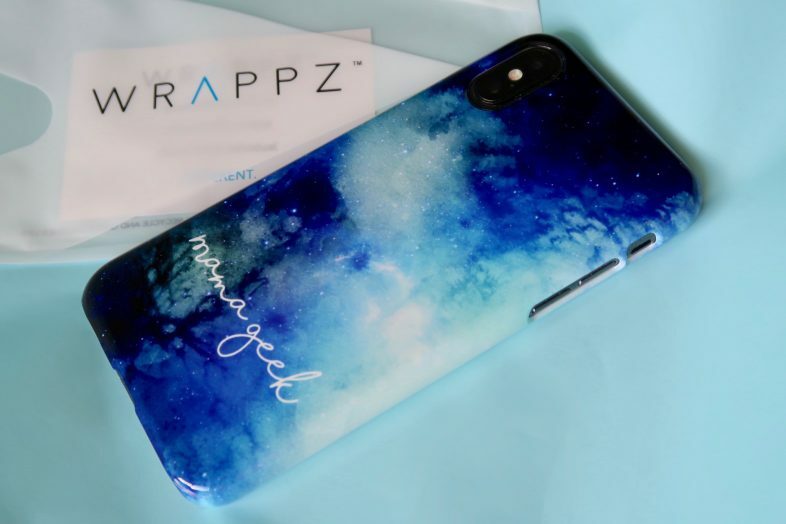 Wrappz have given me a 50% off code to share with my readers so if you fancy ordering yourself or your loved one a personalised case, use the code MAMAGEEK to get a nice discount! Well, that’s the lot… If you found this list helpful do let me know, and if you want me to do more guides for geeky gifts in future.